Is Listening a Form of Preaching? Sharing prayer, faith, and life with others is about listening as preaching. As Dominicans who embrace contemplative life, we spend a good portion of our lives listening to God and others. I can think of a recent example of “listening as preaching” with our New Orleans community. Sisters Pat Harvat, Judy Zynda, and Kitty Bethea hosted students and campus ministers from Siena Heights University and Barry University as part of their “alternative spring break.” The group worked with St. Bernard Project, helping to rebuild New Orleans. 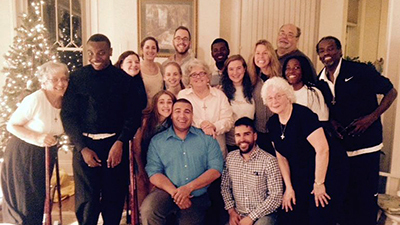 Our Sisters shared a meal and prayer with the young people, and most importantly, listened. Listened to what it was like to see the devastation that still remains 10 years after Katrina, to meeting the unique people of New Orleans, and the how it felt to make a difference. Listening was an important preaching that day – one our students will not soon forget. a session in Holy Rosary Chapel. Siena Heights freshmen during orientation. 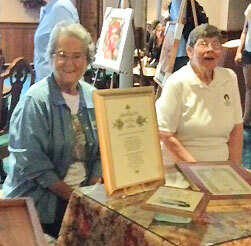 Sisters displaying their art for the students. This is the anthem of the Order of Preachers, the Dominican Order founded by Dominic de Guzman over 800 years ago. In this space, we the Adrian Dominican Promoter of Preaching team will share how our Sisters, Associates, and companions on the journey are preaching with their lives. So check out this space for the latest preaching news! 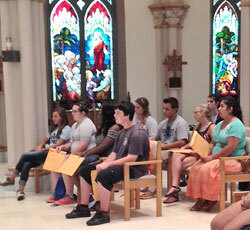 The week of August 26 saw the arrival of the new students to the Adrian campus of Siena Heights University. Sponsored by the Adrian Dominican Sisters, Siena Heights welcomed more than 300 freshmen to campus. Among the many welcoming activities was the trip to our Adrian Dominican Motherhouse campus next door. 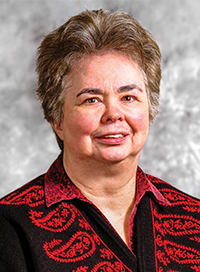 It began with a little history given by yours truly, Sister Mary Jones, OP, sharing the connection of the University’s mission with the mission of the Adrian Dominican Sisters and an explanation of the Order of Preachers. The students were then organized into six groups of 50 and went off to rotate among six stations across the Motherhouse campus, each featuring a different form of preaching. The students learned about the stained glass windows, mosaic and the history of Holy Rosary and St. Dominic Chapels; the importance of care for Earth at our Permaculture site; peace and justice; and the unique experience of studying at a Dominican University. They also took time out to play bingo with the Sisters at the Dominican Life Center, and met some of our Sisters who preach through the arts. 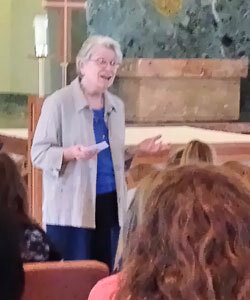 This orientation allowed the students to get to know the Motherhouse campus and to meet some of the Sisters. Students commented on the beauty of the campus, especially the chapels, wondered at the many books written by the Sisters, and expressed their desire to return to the Motherhouse.